The Cisco Jabber app allows you to chat and collaborate with your co-workers from your iPhone. 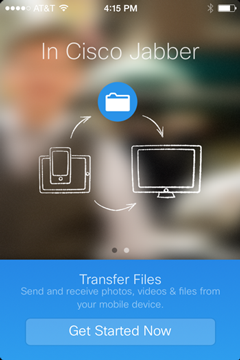 You have installed iOS 8 or later. 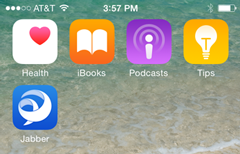 On your iPhone, tap App Store. 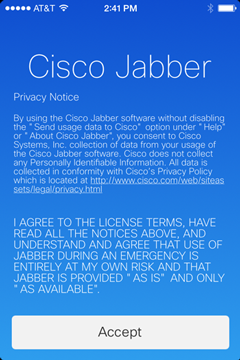 Using the Search feature, type in Cisco Jabber and then tap Search. Tap Get and then Install. Sign in to the iTunes Store if you are prompted to do so and then tap OK. 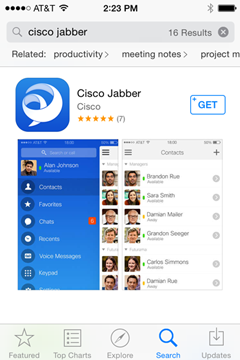 Tap the Jabber icon to launch Jabber. 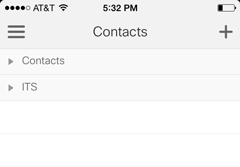 The following message appears: "'Jabber' Would Like to Access Your Contacts." Tap OK. 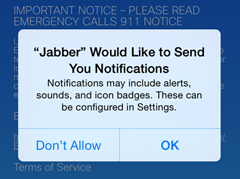 The following message appears: "'Jabber' Would Like to Send You Notifications." Tap OK. Enter your Blake email address and tap Continue. 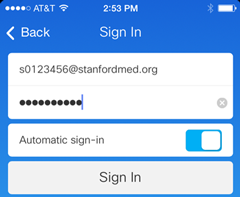 Enter your password. 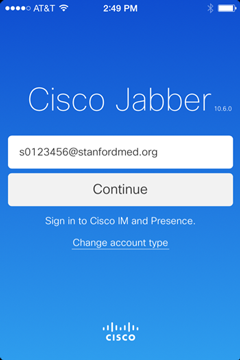 Decide whether you want Jabber to automatically sign you in when the application launches, and tap the Automatic sign-in box accordingly. Tap Done when you are finished. 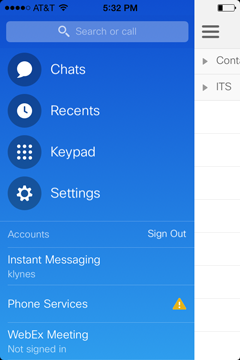 If you get a Certificate Not Valid message(s), tap Continue.